Really creepy book. Worth to read but I was not satisfied with the end and with the lack of info about the main topic of the story: *spoiler* the death of 4 member of the Blackwood family. 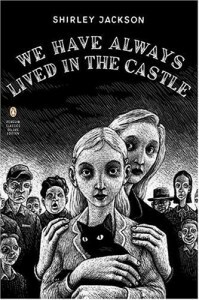 Also I expected a little more depth into the characters but I'm still mentally saying WTF, so yeah, I'm definitely reading more Shirley Jackson. Next Stop: The Haunting of Hill House and The Lottery. By the by, how awesome is the first edition cover?? !